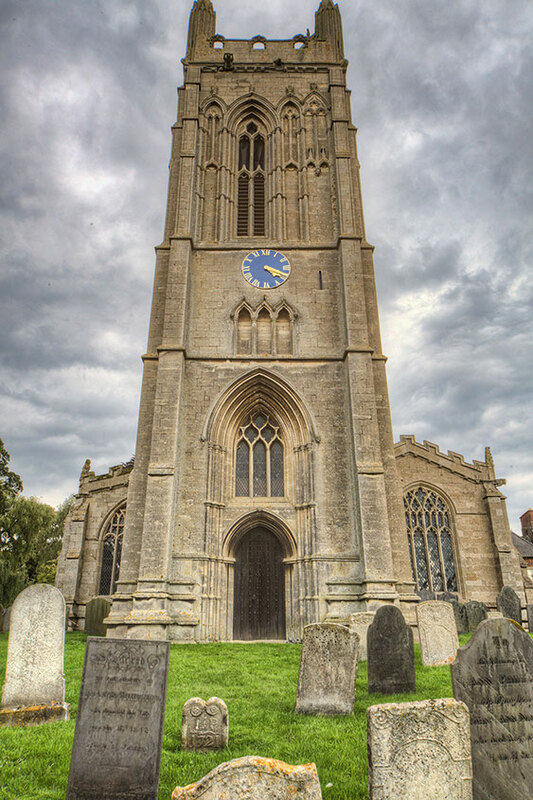 Visitors are welcome to look around St Andrew’s Church and the church is kept open during the day. The following article, a documented visit to St Andrew’s, first appeared in the photographic journal “Leicester & Rutland Churches” and is reproduced with permission by LeicesterPhoto. The first thing that strikes you about the church is the magnificent west tower. Perhaps one of the finest in Rutland and Leicestershire. Over 100ft high it dominates the church and surroundings. Built of Barnack stone (used on many cathedrals) and of three stages it has many niches, now unfortunately empty of statues. On the south and east sides of the tower one of the windows is omitted and filled with tracery. 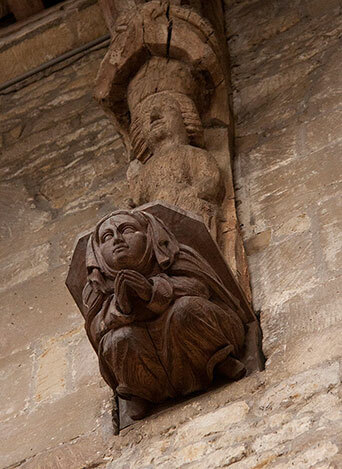 Below the parapet is a series of gargoyles (binoculars at the ready) two on each side. Pevsner remarked he found the tower rather ugly but I have to disagree. 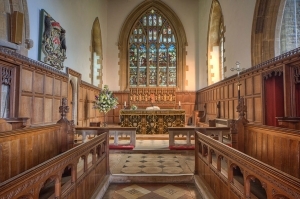 The church consists of the afore mentioned tower, nave, chancel, north & south aisles, north & south trancepts, south porch, and a small vestry on the north side of the chancel. 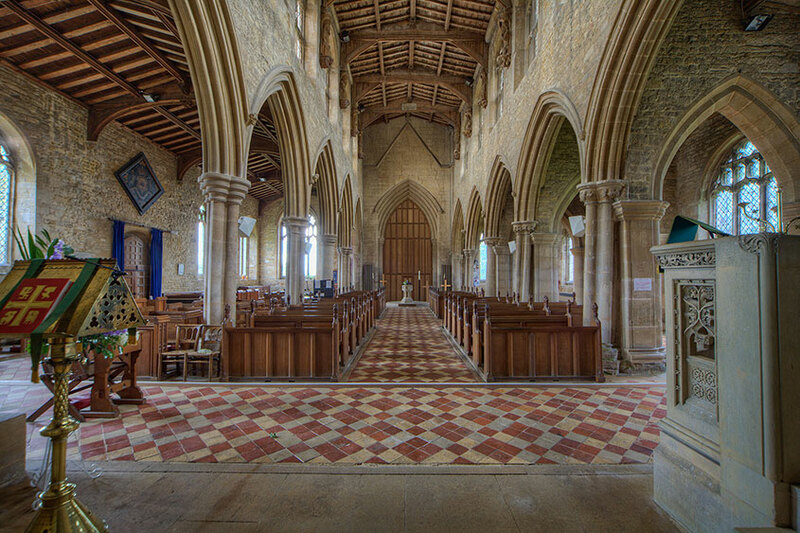 It is a large church and well proportioned with plenty of light. 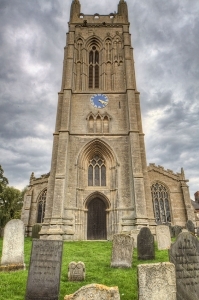 There must have been an earlier church on the site as one was recorded as early as the 12th century but the earliest fabric dates from the 13th century. Then the church was built with a chancel, four bay arcade nave with aisles and a north trancept. 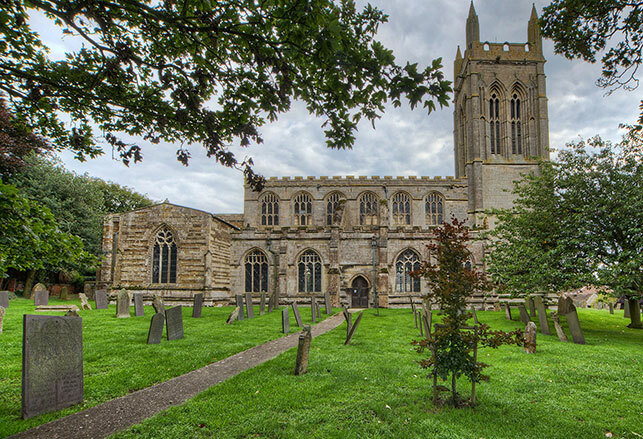 In the 14th century the church was enlarged with a trancept chapel on the south side, the chancel was remodelled, the south aisle widened, the porch was added and the nave extended by another bay and finally the wonderful tower was added. During the 15th century the clerestory was added and new windows inserted in the aisles. 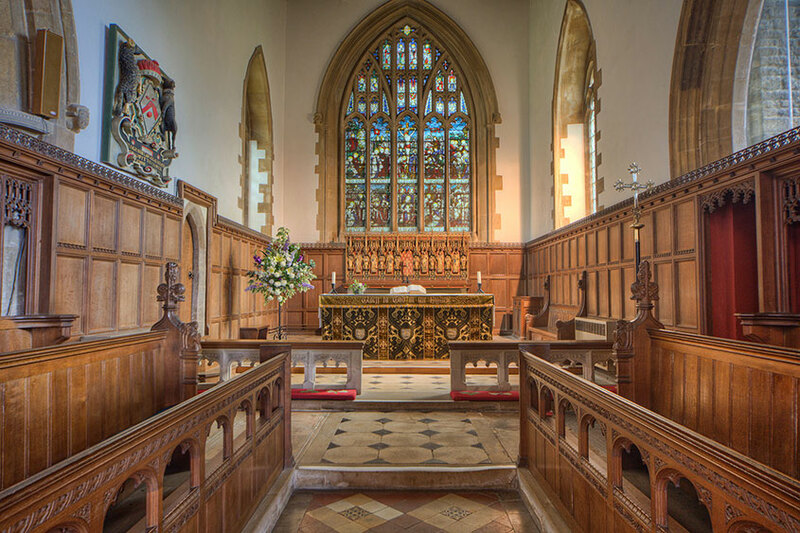 In the 19th century the chancel was recorded as being in a ruinous state, so in 1865-70 the Victorians completed a restoration of the chancel, plus work in the south trancept and the chancel arch. The east window also dates from the restoration. In 1920 further work was undertaken to repoint the church and complete some work on the porch and tower. The church was originally plastered but only the chancel retains this feature. The chancel contains all ‘modern’ (post Victorian furnishings) and the north trancept houses the organ. The south chapel has the remains of a piscina and the windows have been much altered over the centuries.The screen between the south transept and aisle was originally the screen between the chapel and ante-chapel of St. John’s College, Cambridge, and was acquired for Whissendine church in 1869, when the old college chapel was pulled down, it dates from the 16th century. The 13th century north aisle piers have a list to the north and this is why they have been bolstered with later buttressed arches across the aisle. There are also buttresses for two of the westernmost arches on the exterior. This work is probably 17th century. In the nave roof we have plenty of carved musicians and full length figures which requires your binoculars again, but some of them are very fine and worthy of a ‘stiff neck’. On the east side of the tower can clearly be seen the the remains of the old roof-line which predates the addition of the 15th century clerestory. You can see this feature in many churches. The 14th century octagonal bowl font has a modern base and the stone pulpit of Ketton stone was installed in 1888. There was an alabaster tomb of Bartholomew Villers and his wife recorded in 1684 which was much defaced by the 18th century and this has now gone. There are mural monuments to Bennet Sherard (d. 1711) and Dorothy his wife (d. 1744), daughter of Lord Fairfax, and another monument to Philip Sherard (d. 1790).